Tulle, Artificial Flowers, and ribbon. Length is 18" L inches in picture shown. I will make any size, just message me. Gold "ONE" Banner is 4.5 " Tall. 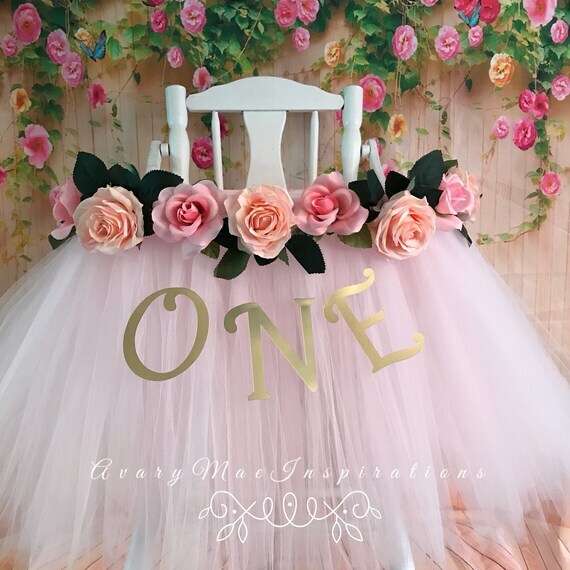 Pink High Chair Tutu- Highchair Banner for Girls First Birthday Smash Cake Party, Pink and Gold High Chair Cover ANY COLOR you chose.